FULLERTON, Calif. -- Dana Housley, a star softball player who unexpectedly suffered a brain aneurysm during the last inning of her travel softball tournament, was pronounced dead Wednesday, her family confirmed. She was 15. 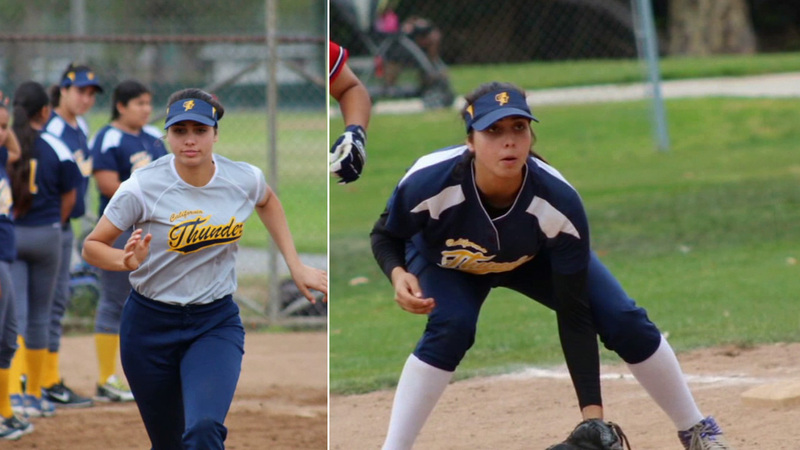 The California Thunder star first baseman was hospitalized and placed on life support after collapsing on the field while at bat at Veterans Park in Fontana Saturday afternoon. Valerie LeVier of the California Thunder posted a message on behalf of Housley's parents announcing her passing: "Tonight our beautiful Dana chose to go with the Lord. We don't yet understand his plan for her, but she will make a perfect angel." The 15-year-old's parents expressed their appreciation and thanks for the "tremendous national and international outpouring of love and support for their daughter." "We will feel pain and emptiness at the loss of our baby girl, but we won't have to feel it alone. As we begin the healing process, we thank you all. We will not forget your love, prayers, and support, nor will we ever forget the wonderful memories of our little girl, Dana Housley #21." Social media users were showing their support for Housley using the #PrayforDana and #DanasMiracle. Since her death, softball players have taken to social media using the #IplayforDana. California Thunder has set up a GoFundMe account to help Housley's family. You can donate here: www.gofundme.com/ve95dta2.